Mayor Boris Johnson and Chancellor George Osbourne recently announced nine new housing zones in London, designed to greatly speed up new housing. Of the nine announced, three are in SE London. One of these is designed to push forward the long stalled Surrey Canal triangle site by Millwall’s New Den ground. This will allow a new London Overground station, named ‘New Bermondsey’, to be built there. Passive provision was made when the line was created between Surrey Quays and Queen’s Road Peckham station. Station construction could begin before the end of the year. The station building on the left probably has a few weeks left at most. The walkways can be seen below. Not many people will mourn their passing in the long term. In the short term it means some lengthy detours. One of the positives to be taken in the brief amount of information released was the mention of better public realm across Abbey Wood, Thamesmead and Plumstead, and it really does bloody need it. A lack of care, effort and focus on these areas has led to many neglected areas. The area in the image above is in line for an upgrade, but only for a few metres from the station entrance here. 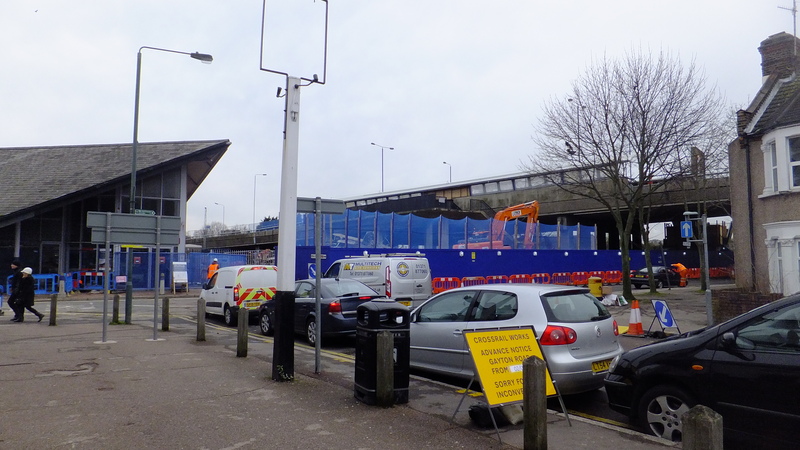 The £6 million to be spent on public realm improvements around the station is mainly going towards providing better entrances for people arriving from Thamesmead by bus (the bridge area above) or on foot from south Thamesmead rather than people in Abbey Wood. It matches a recent pattern of much investment in Thamesmead and little for Abbey Wood. The area shown below is NOT covered by Crossrail public realm works, which is madness. The main parade of shops has no guaranteed funding despite being the main shopping area for the town and passed by many tourists staying at the holiday camp five minutes away. Many living in Abbey Wood pass this area to reach the station. Greenwich council have recently applied for 300k for the parade of shops, though it’s not confirmed. And that money will only go on shop fronts, not the poor paving and lighting. It’s not hard to envisage far better here – newer paving (outside seating in a few years with decent pubs & places to eat? ), improved lighting and perhaps some trees and a cycle lane. The paving is wide enough for it. 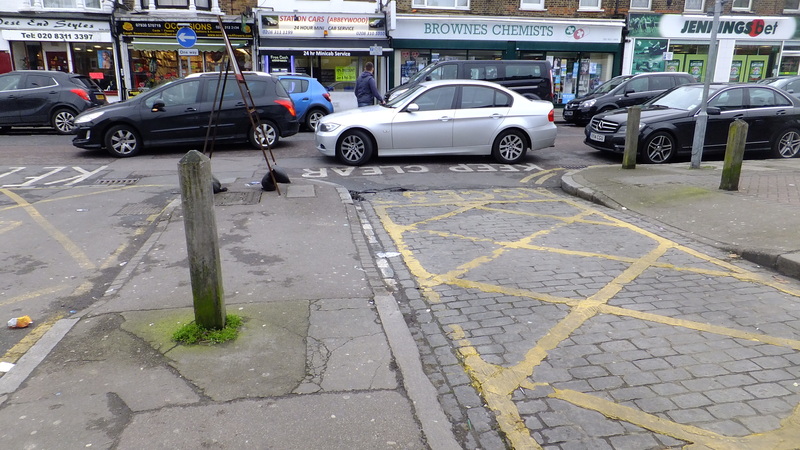 The usual parking problems around the station can be seen above, which Greenwich council never seem to act upon. It’s normally much worse on the other side by the new Sainsbury’s and Cross Quarter building sites, where much parking is moronic, selfish and dangerous on narrowed roads due to construction work. No wardens are ever seen as cars are left all day. Bexley council, on the other hand, are ridiculously over the top and sneaky. A middle way would be nice. Behind where that shot was taken is an off-putting alleyway approaching the station. When trying to work out where the 1,512 new homes on the Greenwich borough side will go (44% of which would affordable) I thought of the BT exchange to the left in the photo above. Greenwich council’s bid mentions working in partnership with Peabody Homes. 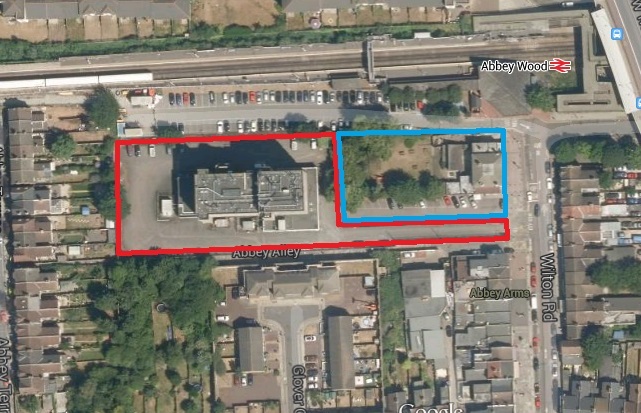 Peabody have been working with Bexley council since they took over Gallions Homes, but have limited connection with areas in Greenwich council, at least in Abbey Wood and Plumstead. However, it is believed they have purchased the pub directly next to Abbey Wood station, and it includes a sizable beer garden behind. Behind that is the large BT site. A combined site could accommodate many new homes, and a tower looks more than possible on some parts of the site. Greenwich’s planning documents designate it as an area for tall buildings. Even if the BT site is not part of the plans (though surely that land is now VERY valuable) the pub site is sizable. It would also hopefully open up the alleyway to the south. Abbey Arms next to Abbey Wood station. Future tower here? One issue has always been the division between the boroughs. If both have Peabody on board that will help. A new Abbey Wood library is being built at Cross Quarter. There’s no word on the fate of the existing library in the VERY neglected Abbey Wood estate. A five minute walk away from the new Abbey Wood library, yet in a different borough, Gallions planned a new library. Not the smartest cross-borough planning. With Peabody on board now I’m more optimistic. They value decent architecture, as this Guardian article shows. Gallions built some utter rubbish. Unbelievably poor stuff. However, I wish Peabody would keep people a bit more in the loop. Some early ideas were supposed to have been revealed last autumn but so far nothing. Demolition came to a sudden halt, and 18 months later the rump of Tavy Bridge and concrete footbridge remains, in a state of limbo. Demolition halted when 90% complete. Nothing’s happened since. With this new announcement hopefully some actual plans are shown very soon. There’s a ‘Future of London’ summit in early March which Peabody will be attending to talk about Thamesmead. Will plans be publicly released then? “Harrow Manor Way will be changed to a tree lined boulevard with cycleways, new pedestrian routes and a significant enhancement of the street scene, along with improved East / West links”. Main route from Thamesmead to Abbey Wood station. I’ve long argued this improving this road is crucial for wider improvements. As the road is already quite wide it wouldn’t take much to increase the width to install bus lanes, and there’s more than enough space to do this with the grass verges alongside, as well fas or cycle lanes which looks to be happening. Widening does NOT mean you have to install guardrail, wide central reservations and many other dated urban design principles more akin to motorways. As for cycle lanes, hopefully the earlier lane plans have been ditched, which looked to force cyclists down backstreets in Thamesmead’s Tavy Bridge estate and included more busy road crossings than a direct, faster, safer segregated lane directly along this road. I wrote about the cycle lane plans here 18 months ago which shows how slowly things move. Without alterations to this road, the only link from Thamesmead to Abbey Wood station, buses will be hitting queues brought about by cars entering the forthcoming Sainsbury’s (on the right of the road in the image above), hundreds of new houses beside it plus thousands in the Peabody redevelopment of Tavy Bridge. Add in a new roundabout (work starts next month) and extra traffic lights to be installed and congestion will increase. That’s not even mentioning any extra developments the new housing zones bring forward. The new Sainsbury’s already looks like it will limit the ability to widen the road without more costly engineering work. Though without such work Thamesmead residents could find 20 minutes shaved off train journeys by Crossrail but 20 minutes added to bus trips as much traffic is funneled down single lanes. Barking is another of the nine housing zones, and thousands more jobs are planned there. Another reason to connect Abbey Wood with it through an London Overground extension via Thamesmead. A future London Overground link could be built under Harrow Manorway in a cut and cover tunnel given the large expanse of space. The more house building there is, the more expensive and difficult this become without safeguarding. With 14k extra homes to the south of the Thames the rationale only increases for a new rail line. LO is a far better option than the DLR to Beckton, which would offer far less journey options than Barking, which has District & H&C tube lines, very frequent and fast c2c trains to Essex and central/east London & London Overground to various east, north and west London areas. The DLR at Beckton just heads west, slowly, through quiet housing suburbs to Canning Town, where the DLR from Woolwich already goes, and Crossrail from Abbey Wood will head to nearby Custom House. Beckton to Abbey Wood offers far more not only to locals but easy links for Essex and Kent passengers heading towards London, who can cross the Thames quickly to various other London locations by-passing busier inner London stations. 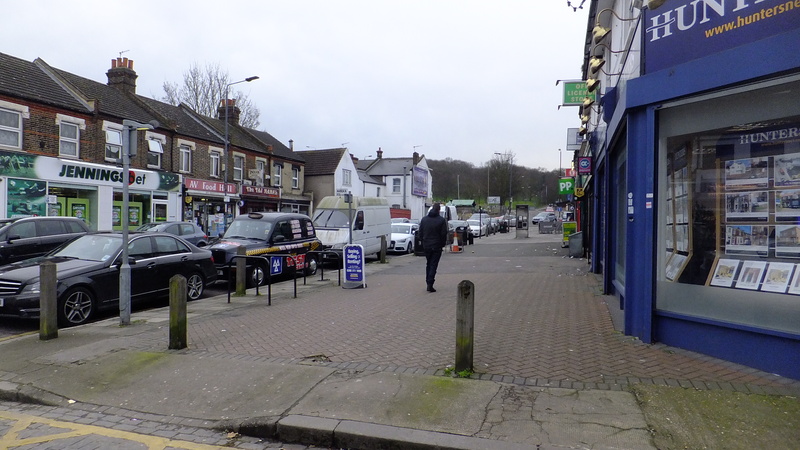 If housing does line this road, which looks very likely, then retail & commercial space at street level could link Sainsbury’s, the new hotel and library by Abbey Wood station with shops at the new Tavy Bridge. With thousands more homes there would be the demand. There’s a ton of other questions that these announcements raise, and I’ll be focusing on them in the near future. 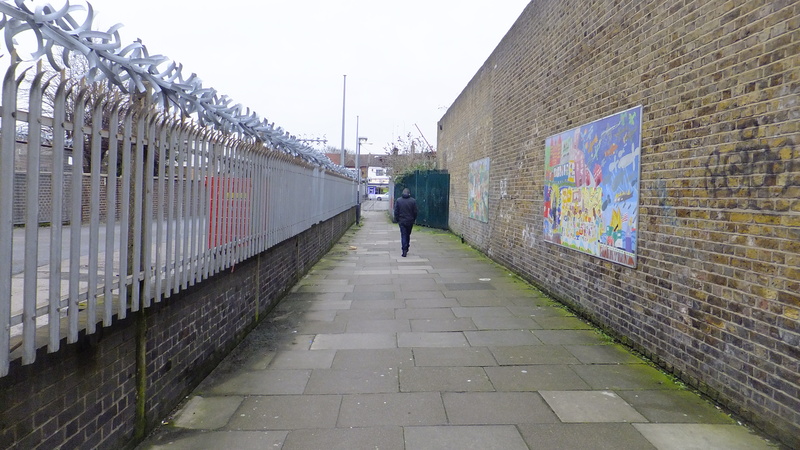 There are many potential positives to be seen, and I’m glad to see Greenwich council publicly acknowledging the need for big improvements in public spaces, streets, parks etc. Many other councils have stated this firmly when receiving money from the Mayor in the past, whilst Greenwich council have been quiet. Look at previous years LIP funding plans and documents. Things look better since the change of leader last May. Now we need to see some more badly needed action. Start with the small, easy and cheap things that can be done quickly. There’s enough of them all over Abbey Wood, Thamesmead and Plumstead. Alongside that, continue the work on more extensive and bigger schemes. It shouldn’t be either/or. With all this, I’m optimistic things are finally looking up for this much maligned and neglected area. 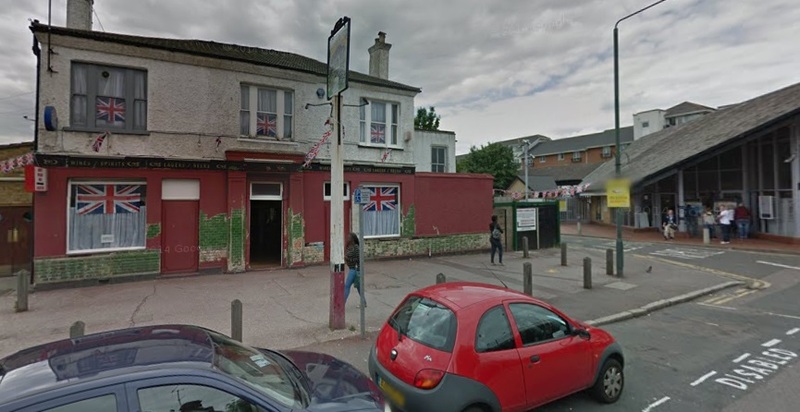 What is known about the planned building in Plumstead? That’s one of the big unknowns though I havn’t read every document. You’d hope the council would release its bid details. Just where will these 1500 homes in the first stages be? I heard it from a normally reliable source but no more than that. Given its location it would be no surprise for it to be purchased and become high density housing. Greenwich have already designated the area as suitable for high-rise, and it would look over few houses. What a marvellous blog and very interesting indeed. It’s about the only way one can find out what’s occurring in the local area. I do love your stance on how Greenwich have ignored Abbey Wood and continue to do so. Keep up the good work. where are we all gonna go ?